Docupace is a great solution for secure, paperless application processing and document management—and it’s even better with SmartOffice. Advisors and broker-dealers alike use this powerful combination to cut down on redundant data entry and streamline their critical document workflows. From a SmartOffice contact record, clicking a button takes you directly to Docupace Starting Point. 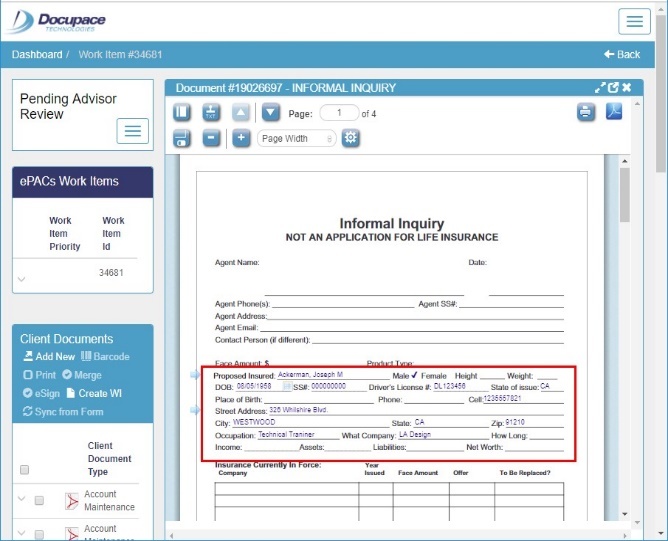 In Docupace, forms are pre-filled with data from the SmartOffice contact. Completed forms appear as links in SmartOffice; clicking them opens the forms in Docupace. Click the Docupace button in the client’s SmartOffice contact record to get fast access to a client’s folder in Docupace. If a folder exists for that client in Docupace, it opens directly—no login required. If the folder doesn’t exist, SmartOffice creates it automatically. 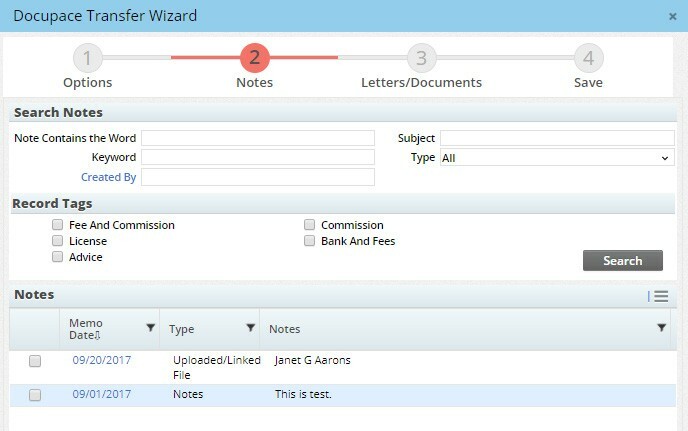 Click a button in a SmartOffice contact record to open the Docupace Transfer Wizard. Then choose whether you want to select notes and documents based on date range, since the last time the wizard was run, or since inception. Let the wizard guide you through the process of selecting the content you want to send to the client’s Docupace folder.